The Fula (or Fulani) are a large group that immigrated from North Africa or the Middle East to West and Central Africa centuries ago. They are nomadic herdsmen (Bororo) who travel with their herds in search of better grazing land. They are lighter skinned and have straighter hair and noses, and thinner lips than other African groups, which suggests that they are of Caucasian origin. Over the years, some of the Fula have changed from being exclusively herdsmen, to part-time herdsmen, part-time farmers. Some have become educated and influential leaders in their communities. Today, they are grouped and named according to their dialect, location, and occupation. 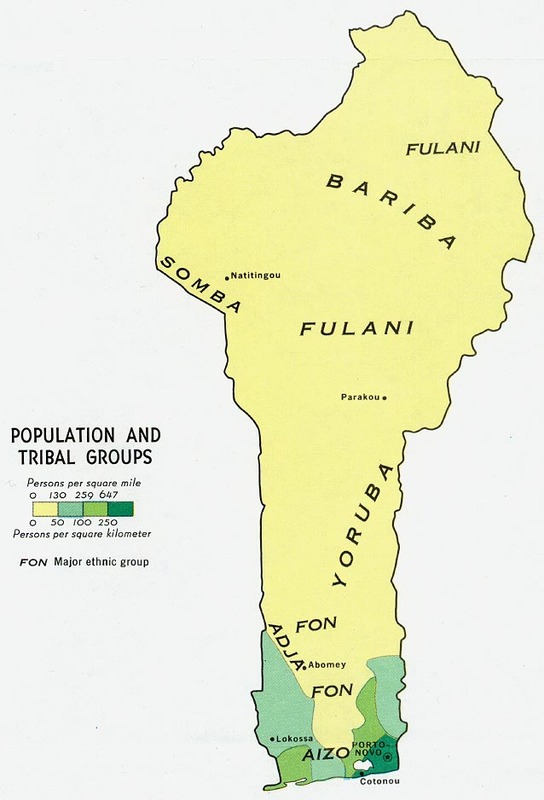 The Fula of Benin occupy the northern and central regions of the country. They speak Fulfulde, a Niger-Congo language. Although the Fula may be considered to be "backward" nomads by other groups in Benin, they consider themselves beautiful, dignified people. The Fula take much pride in their distinctions from non-Fula people. The Dendi and Fulani people have a great dislike for one another and there is regular conflict between the two groups. This conflict often erupts into bloodshed and the military must be brought in to settle matters. The Fula of Benin are primarily shepherds, and their lives revolve around their herds. In the rainy season, cattle and goats graze on the lush fertile land near the village. During the dry season, the cattle and goats are taken to other areas where they dig large wells in order to water them. These areas are sometimes crop land for nearby farmers. Although some crops may be eaten or trampled by the herds, no ill-feelings linger, since the manure left behind provides fertilizer for the next season's crops. For the nomadic Fula, cattle are their most important possessions since they symbolize wealth and status. The more cattle a man owns, the more respect he is given; and a bride may be chosen according to the amount of cattle she owns. The Fula consume milk daily as their main food. Milk is very important to their diet, since they eat little meat and few vegetables. Butter and goat cheese are often traded at the markets for grain and other items. Millet is used each day in a porridge for the evening meal. During the dry season, the Fula live in portable shelters made of flexible twigs covered with leaves and grass mats. Temporary corrals for the herds surround each hut. Boys over 15 years old do their work under the direction and supervision of their fathers. They dig wells and water the herds, while their younger brothers help by running errands for them. During the rainy season, the wuro (village) is the center of Fula society. Women care for the children; prepare butter, cheese, and daily meals; tend to the household gardens; and gather wild rice and berries. The men tend to the herds and make their own clothes. Making clothes is a way a man can express himself and show his individuality and personality. The Fula of Benin, like many other Fula groups, believe that it is a sign of weakness to be controlled by fear; thus, they seldom show fear in public. Fula boys are initiated into manhood in a somewhat unusual manner. Friends who are being initiated beat each other over the chest with their walking sticks. No sign of pain is to be shown, and there should be a willingness to receive more affliction. Some have died in this procedure, but the many that do live proudly show their scars as marks of honor. The Fula fear being alone or disliked. They often talk with friends to overcome the feeling of solitude. However, this need for company is concealed in public, as the Fula tend to hide their feelings. Only through songs do they express such things as love or the need for others. 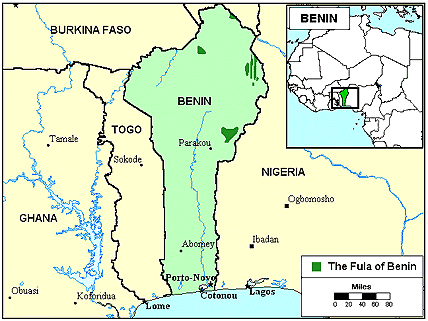 The Fula of Benin are overwhelmingly Muslim. Efforts to evangelize these people have produced only a very small number of Christian believers. Much prayer and intercession are needed to bring these nomads to a saving knowledge of Jesus Christ. 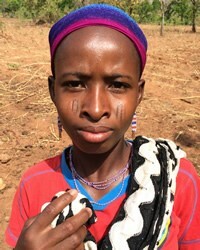 * Ask the Holy Spirit to grant wisdom and favor to missions agencies focusing on the Fula. * Ask the Lord to soften the hearts of the Fula so that they will be receptive to the Gospel. * Pray for strong local churches to be planted among the Fula. View Fulfulde, Borgu in all countries. Location in Country: Borgou department: Nikki commune; Alibori department: Segbama commune; scattered communities in Atakora, Donga, Zou, and Collines departments; Bakuure dialect: Borgou, north of N’Dali; Korakuure dialect: Central and south Borgou, Parakou area; Djougoure dialect: Donga-Atacora region from Djougou north to Burkina border; Tchabankeere dialect: Zou department.